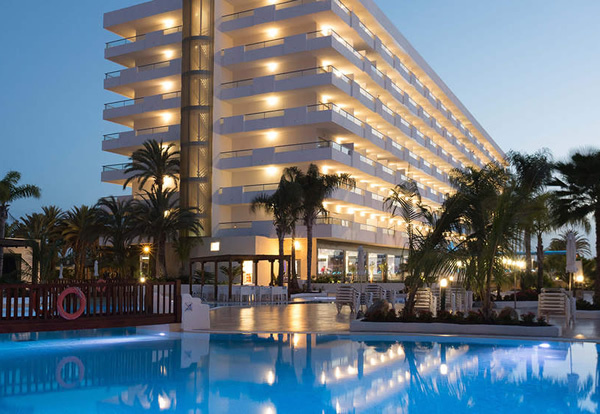 The 4 star Sentido Gran Canaria Princess Hotel Playa del Ingles is situated close to the 'Kasbah' shopping centre, bars, restaurants and resort amenities of Playa del Ingles. The beach is around 900 metres from the hotel and the airport is 30 kilometres away. 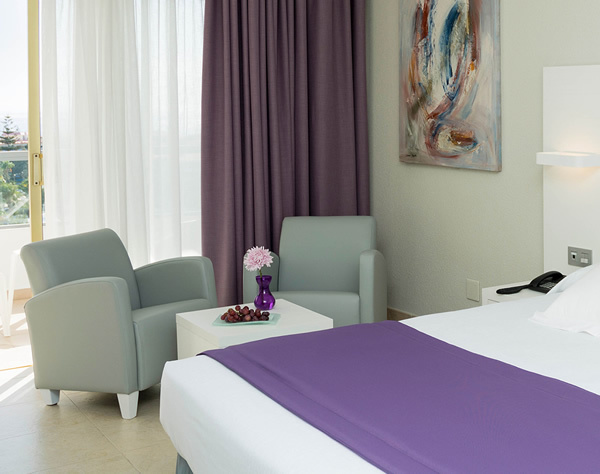 Fully air conditioned throughout the Gran Canaria Princess's facilities and services have something for everyone and will appeal to families and couples alike. The hotels 434 guest rooms are spread over 7 floors, each room is well equipped with private bathroom, hairdryer, direct dial telephone, fridge, centrally controlled air conditioning, in room safe, music channel and balcony. The hotel has several rooms designed for physically handicapped guests. The hotel offers half board or full board arrangements, meals are taken in the air conditioned Princess Restaurant, where there is a dress code for dinner (long trousers for gentlemen). 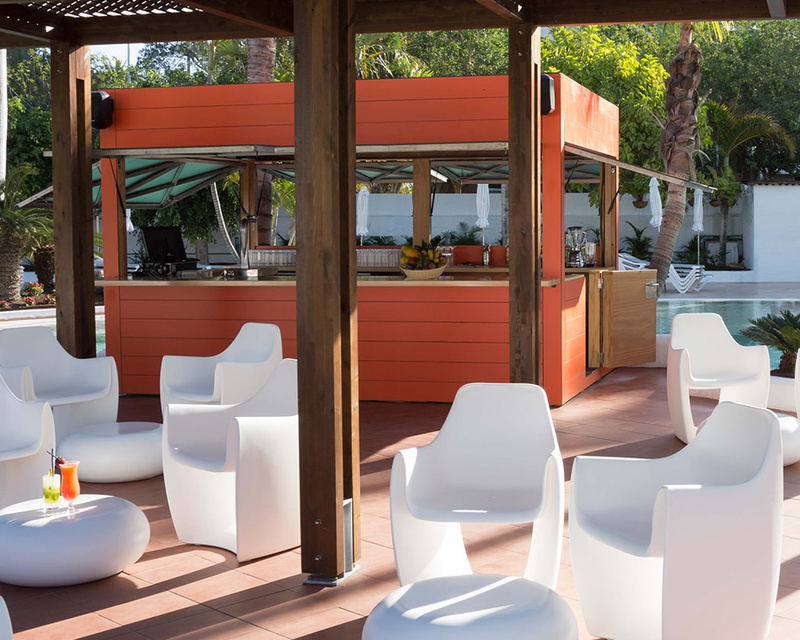 Lunch can be purchased by guests on half board at the a la carte La Choza Restaurant located on the poolside terrace. The Bar Coco Loco is also situated poolside for that refreshing drink in the afternoon. 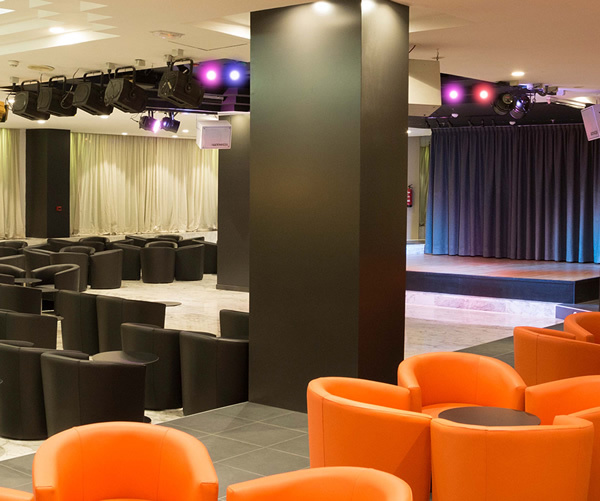 The hotel also has the Piano bar and the Bar Salon Princess, venue for the live shows and evening entertainment programme. The extensive range of facilities at the Sentido Gran Canaria Princess include 2 swimming pools (1 heated in winter), Solarium adjacent to the pools, sunbeds and sunshades, pool towels on arrival, sauna, games room, programme of day time and evening activities, tennis courts, table tennis, pool table, TV lounge, Mini Golf please note some of the activities are chargeable locally. Children have a mini club and a separate day and evening entertainment programme. The hotel has a 24 hour reception, foreign exchange facilities, gift shop, internet corner, car parking, laundry service and babysitting service (payable locally).